The Hume Center leads Virginia Tech’s research, education, and outreach programs focused on the challenges of cybersecurity and autonomy in the context of national and homeland security. 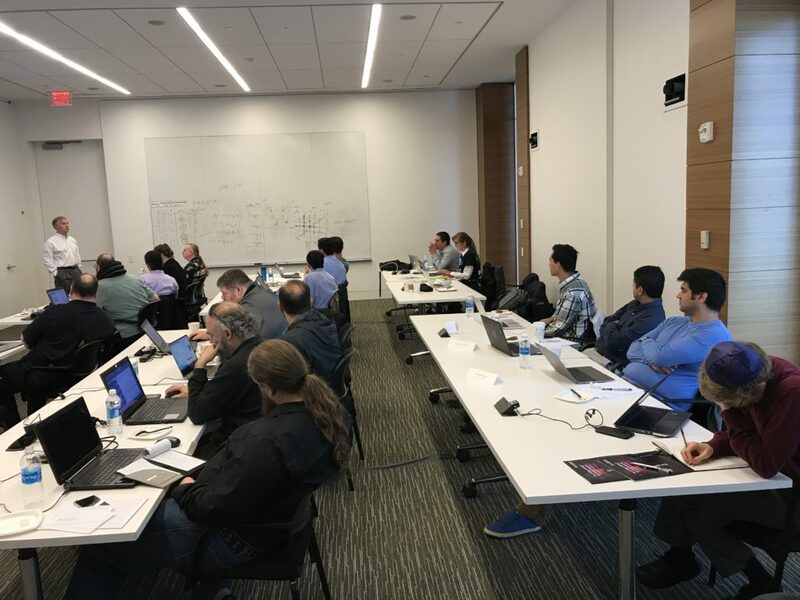 In May D-Wave held a training class on quantum computing at the Center. The attendees were throughly engaged, and during the class individual attendees discussed their ideas for applications. 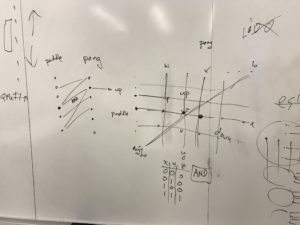 This whiteboard displays the result of a discussion on mapping the game of Pong on to the D-Wave system. More serious applications of interest were computational quantum chemistry, communication security and disease mapping for ophthalmology.